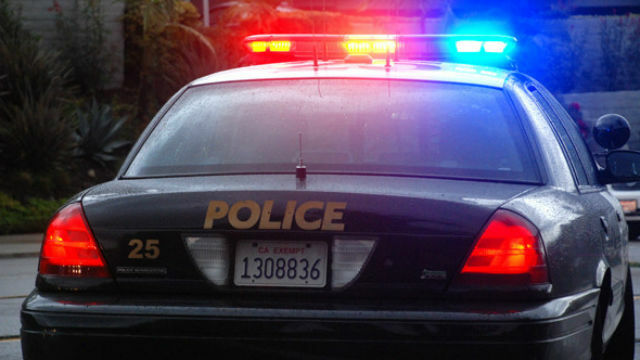 A 46-year-old woman was behind bars Monday on suspicion of stabbing a 66-year-old man in the Logan Heights area. It happened shortly before 11:40 p.m. Sunday near the intersection of Imperial Avenue and 25th Street, San Diego Police Officer Robert Heims said. The pair were standing together in the area when for unknown reasons the 46-year-old woman pulled out a knife and stabbed the 66-year-old man once in the chest, Heims said. The woman fled the scene before police arrived and the man flagged down a patrol officer and told the officer he had been stabbed, Heims said. The victim was taken to a hospital for treatment of his injuries, which were not believed to be life-threatening, the officer said. Police did not disclose the exact relationship between the man and the woman, other than to say they knew each other. A short time later, officers located the woman, later identified as Lourdes Suarez, near the intersection of Commercial and 26th streets and took her into custody, Heims said. Suarez was booked into the Las Colinas Detention Facility on suspicion of assault with a deadly weapon, according to jail records. She was being held in lieu of $30,000 bail pending arraignment, scheduled for Wednesday afternoon.